Our big 44' Lagoon cruising cat "El Gato", built in France in 2007, our floating mobile home. We've been happy to make a bit of fun of the fact that she's big and fat, but now we've had a chance to get to know her a little better, we've realised....she has sharp claws. This boat is amazing! Fast, safe and comfortable is a much truer description. With all the comforts of home, and a full stock of food, water, fuel and supplies, she still manages to romp along without fuss. This is one capable, well built and brilliantly designed cruising boat. Small wonder that Lagoon sells more catamarans than any other brand, worldwide. 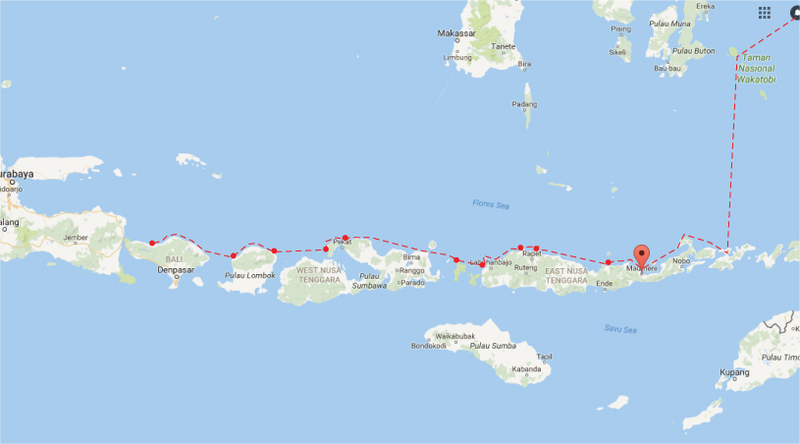 As I write this, we're anchored on the north coast of Bali, well away from the bustle of the Kuta area and the Bukit Peninsula. And well away from the surf too, unfortunately, but that's reassuring when you have a big lump of boat and a slim bit of chain holding an anchor into the sand. The trail to Maumere....the red dots are our stopovers. 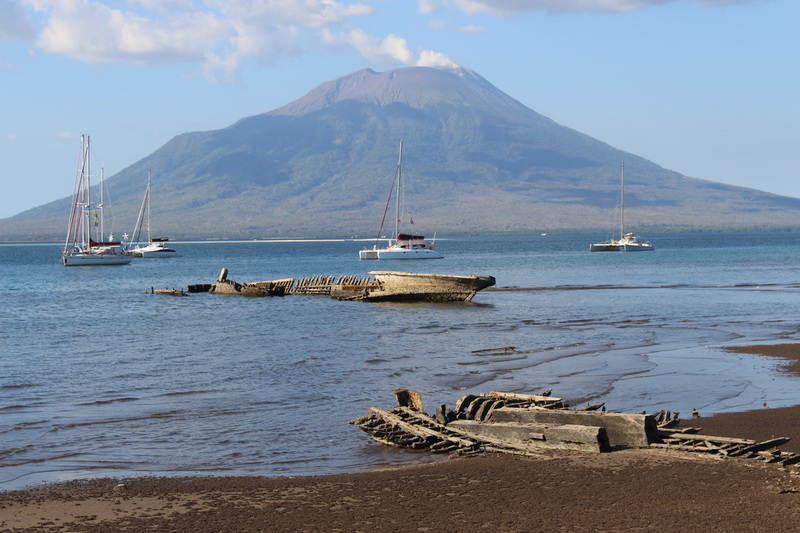 Heading West from Maumere to Lovina, on the north coast of Bali. Easy day-hops and generally comfy anchorages. The view from Lowoleba, Pulau Solor, Indonesia.